Oceanic White Tip- I posted a thread for weapons used by divers against sharks or ones made from shark teeth, there was a valid concern that we might not be able to find shark in a similar area. I looked up some sharks and I found this guy, he is the northern cousin of a shark I have caught the Black Tip before. Now these sharks don't go to far up the coast of Canada but it does travel in some cold water so they should be able to be found in the waters around our islands. These sharks are known for their stubbornness when it comes to food, and they have a tendency to follow ships around since they associate them with food. Oceanic White Tips are also known to be man eaters, a ship with 1000 passengers sank during WWII only 126 survived and most of the deaths of the passengers were attributed to Oceanic White Tip's. Flathead Catfish- This is the second largest species of Catfish and could be added if the add any lakes on the main island or any additional ones. These guy can get really big and you better hope they don't mistake you for food, catfish are known to drag full grown men underwater and drown them. They would be one of the largest if not the largest fresh water fish available on the islands but would be pretty hard to catch. Sea Lamprey- These guys are an invasive species and could be found around our islands and could be a nuisance to swimmers and fisherman or women. They could act like leech's in most games and latch onto you when swimming around with their suction cup like mouth filled with teeth. They could also be attached to any fish you catch that could decrease their calorie content and perhaps add parasites to your meal. These guys are not technically fish but I didn't think I should put them in the insect thread even though they are arthropod's. 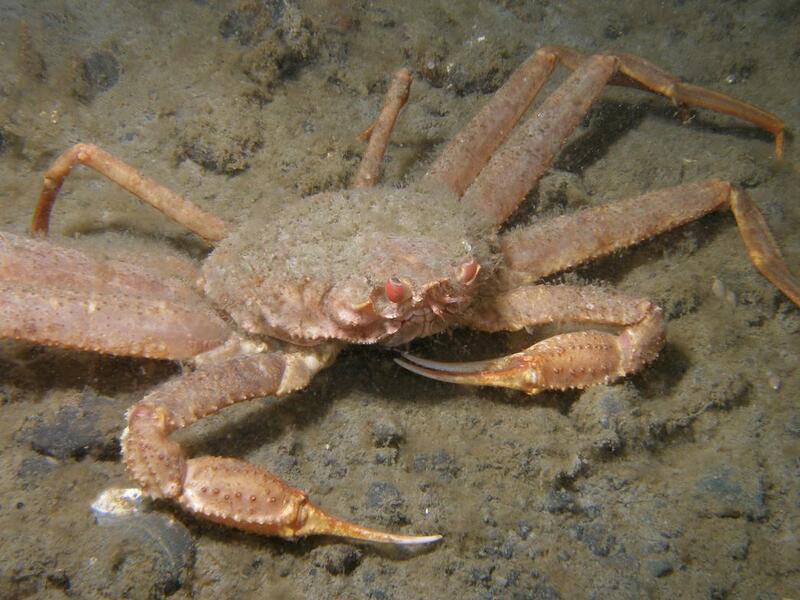 Snow Crab- Who doesn't like crab…..well people who are allergic to shellfish but that's besides the point. Big red suggested lobster traps so these guys would be perfect for the resident species of crab to catch. American Lobster- Same as the Snow Crab but could be rarer catch and would have a higher calorie content. Timber Rattlesnake- This is a black & gold striped rattlesnake found in the Northeast of the United States and Canada. These snakes prefer forested areas with dense cover mixed with rockey areas for sunning. Their toxicity varies depending on the region found but if included we would most likely encounter the type B venom which has strong hemorrhagic properties. When threatened they will lash out with their large size and long fangs but they prefer to ward off prey by rattling or faint striking. I think having a poisonous snake around the island chain would be interesting, it would cause us to watch our step or be poisoned and it gives us the potential for farming poison and making trap's. I had suggested a trap awhile back consisting of a rattlesnake with a small rope tied to it's rattle which is tied to a stake or nail in the ground. 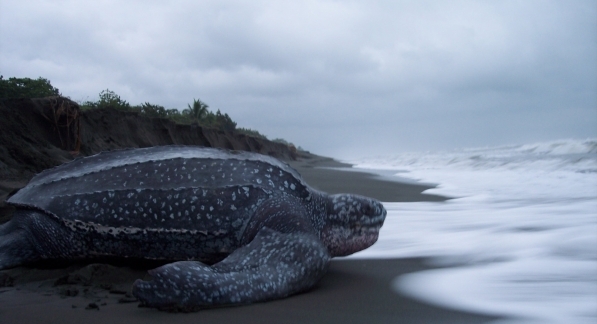 Leatherback Sea Turtle- Although this is a vulnerable species of sea turtle with few nesting habitats I think it would be interesting to add the area the game takes place in as one of their nesting sites. The Leatherback is the largest turtle in the world and as it's name suggests it lacks a shell and is covered in oily leathery skin. They would be a interesting sight to see while traveling between islands and in rare occasions you could find one on a beach. They could also act as a food source, although I propose a drop in your mental state when killing one. I know it's survival but even a deer could cause more damage to a person then a friendly sea turtle, so you should feel kind of bad for killing one. Common Snapping Turtle- This large turtle is common throughout the east of the United States and some costal areas of Canada, so I think that this turtle could be included into where the game might be because it looks cold but not too cold. These turtles could bite and attack you if you draw too close to a pond or any modest sized body of fresh water. These turtles have a pretty fierce bite and are tenacious when threatened. It could add something to fear(slightly lol) in fresh water areas in if one bits you and you kill it you could turn it into a large bowl lol. European Wall lizard- This little guy was brought from Europe to the America's in 1970 and have grown in population ever since. There isn't anything particularly special about it but it is a cool looking lizard and it would be cool to see them every now and then. They could also food sources since they are pretty prolific, they could be caught like rat's with small trap's. They would be rarer then rat's and would have a better nutritional value and no drain on your mental status. Next it part three I will be discussing Insects and Arachnid's, as before if you guys have any thoughts or idea's feel free to throw them.